Caution! You may not need a new or re-manufactured transmission!! Sometimes there can be problems with your transmission that are easily fixed. Some disreputable shops and dealers may try to convince you that your transmission is shot when the problem may be something as simple as low fluid or a broken wire on a solenoid. The difference? A few hundred dollars versus thousands of dollars. Your transmission fluid may be low. If the fluid is low, your transmission may not be able to generate the force needed to shift gears. Low fluid may also cause excessive heat in your transmission. How do we diagnose? 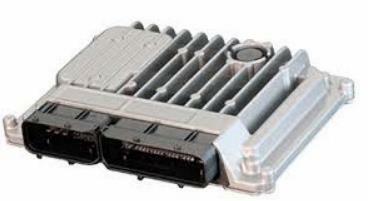 The Transmission Control Unit may collect codes that we can read from your car’s computer diagnostic port. Of course, on most transmissions there is a dip stick where we can check both the level and condition of your transmission fluid. We can inspect the under-side of your vehicle looking for signs of leaks. The solution? We may be able to solve the problem by adding fluid. If the fluid is discolored, we may recommend draining the fluid, cleaning out the pan and putting in new fluid and a filter. If there are signs of leaks, we may also replace the gasket or lines where the leak is occurring. Electronically controlled automatic transmissions shift gears by using a solenoid to regulate the fluid pressure to select the appropriate gear. 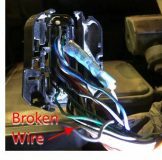 If the shift solenoid is not receiving proper electric current, a wire is broken, or dirty transmission fluid has caused it to become stuck open / closed, the gears may not engage properly. How do we diagnose? Quite often when we hook up to the vehicle diagnostic port, we can view codes that your car has collected which will often pinpoint a specific problem. The solution? Remove and clean oil pan, replace solenoid, replace fluid, and transmission filter. You could have a problem with the Transmission Control Module (TCM) or Transmission Control Unit (TCU). This is a computer programmed to change gears in your transmission for optimum performance and fuel economy. Transmissions used to be controlled with hydro mechanical controls but since the 1980’s, they have been evolving to more electronics and automation. Today’s unit senses vehicle speed, wheel speed, throttle position, turbine speed, transmission fluid temperature, brake plus inputs from the Traction Control System (TCS) and Cruise Control Module (CCM). The TCM translates these inputs to operate pressure control solenoids, shift solenoids, torque converter clutch solenoid and may output to the engine control unit to change timing or reduce fuel for a few milliseconds to reduce the load on the transmission when shifting. The solution? if we can’t reset it, we will unplug the old TCM and plug in a new one. For antique or hot rod cars that are only driven occasionally, sometimes insects such as mud daubers may clog the vent tubes on the transmission. For off-road vehicles that drive thru mud, it may cake up on the top of the transmission and clog the transmission vent tubes. When the fluid gets hot when driving, it expands and with no vents, it may be forced up the dip stick or may cause a gurgling sound. How do we diagnose? Visual inspection of the transmission will reveal the problem. When re-filling the transmission with fluid, it may not drain out of the funnel.